Virtual assistant (VA) companies provide remote administrative and business support resources that help streamline your business operations. They allow you to outsource a range of tasks, from website management to appointment scheduling, which can be completed by online workers — often more efficiently than you may be able to perform these same tasks yourself. 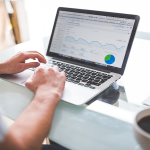 The virtual assistant companies we review below are the best for small business because they offer a variety of common outsourcing services, such as administrative assistance, writing, website management, and basic office support. A few have additional services like building websites, managing search engine optimization (SEO) or answering phones. Some are United States-based while other less expensive options are overseas. We recommend Time etc as the best overall amongst the virtual assistant companies we researched because it offers all of the features above and provides a money-back guarantee. Time etc has been in business since 2007, which is longer than most of the other providers. It offers U.S.- and United Kingdom-based assistants at an attractive price and gives you the ability to hire task-based or dedicated assistants, for the same low monthly rate. We recommend Time etc as best overall because it has virtual assistants (VAs) all across the U.S. and can match you with a VA who works in any time zone that suits your schedule and region. 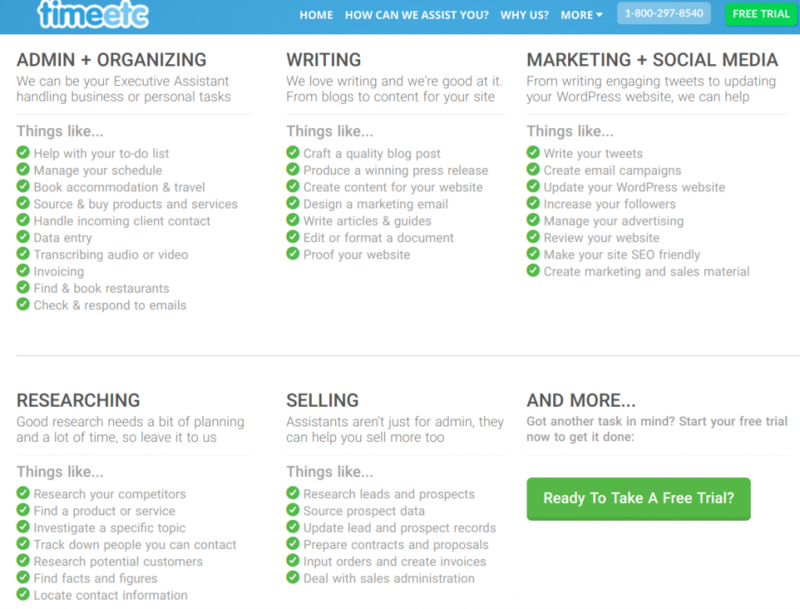 Its pricing is on the lower end of the U.S.-based virtual assistant companies we reviewed. It lets you try out your first task for free so that you can see how it works with no commitment. If you’re trying to fake it before you make it, a VA with a local accent can provide instant credibility. While it doesn’t have true 24-hour coverage like MyTasker, Time etc comes pretty close. Time etc pricing ranges between $21 and $25 an hour with no setup fees. It sells its virtual assistant services in packages that provide you a dedicated virtual assistant for as low as $250 per month. The more hours you choose, the less you’ll pay for each of those hours. All plans include unlimited tasks, a dedicated assistant, premium support, unlimited users and a money-back guarantee. In addition, any hours you don’t use in a given month, roll over to the next billing cycle. In fact, Time etc is the only service that lets you rollover your unused hours into the next month. The only caveat is that you can only keep the rollover hours in your account for 60 days. While most overworked small business owners will want more hours per month instead of fewer, it’s nice to know you won’t have to pay for service hours that you don’t use. 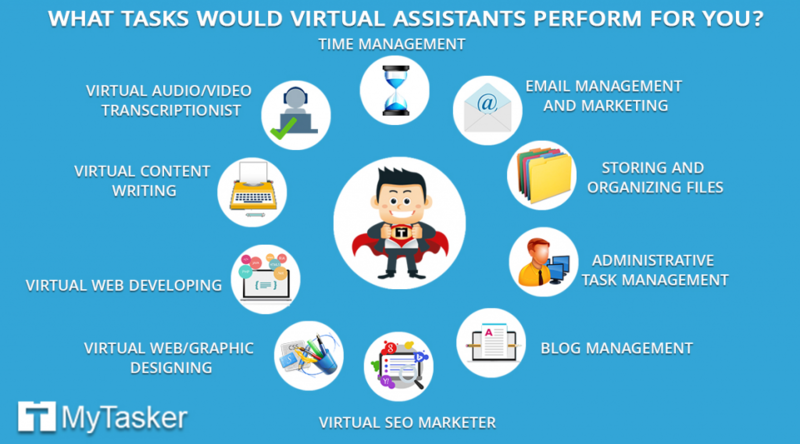 Time etc provides virtual assistant services in multiple areas like administrative and organizational support. In addition to that, they provide research, writing, social media, marketing and sales team support. Time etc offers a unique service along with your dedicated virtual assistant. If you have a task that is beyond the skill set of your VA, Time etc allows you to work with another VA who has those exact skills on a task-by-task basis. The best part is that the hours your task-based VA works are billed at the same rate as your dedicated VA.
Time etc allows you to get multiple kinds of support for the same monthly price. Time etc offers a handy Chrome extension that lets you summon help with one click, a mobile app for help on the go and branded email so your VA’s emails will look like they’re coming directly from your office. That’s helpful if you have them representing you when responding to clients or staff. Need someone who speaks French to translate a document by this afternoon? Time etc has you covered. If you’re anything like the small business owners we talked to for this article, you’re probably dreaming up ways you can use this service right now. Time etc provides services in five major areas: administration and organization, writing, marketing and social media and researching and selling. What makes its services stand out is that you may have a dedicated assistant doing admin tasks and need a few hours of social media work done. Any of these tasks can be aggregated into the number of hours you’ve purchased. Time etc provides virtual assistant support services in multiple business areas. For example, imagine someone sends you an important file in Adobe Illustrator format that you need to edit immediately. The only problem is that you don’t even own Adobe Illustrator and, even if you did, neither you nor your assistant knows how to use it. After a few clicks on Time etc, you’ll have a VA skilled in Illustrator updating the file for you. Time etc is more expensive than hiring staff locally or outsourcing overseas. Let’s face it, a company offering college educated U.S.-based virtual assistants will never be able to compete with VA companies like MyTasker working overseas with lower overhead. However, considering that you get college graduates able to do a variety of tasks, Time etc is actually very affordable. Time etc earns five out of five stars on third-party review sites. More impressive is that its employees also give it a solid five-star rating as being a great place to work. Business users report that they like the price, the response time and the quality of the assistants they work with. Time etc was started back in 2007 while both EAHelp (now Belay) and MyTasker were started in 2012. Clearly, its virtual assistant service model is working. The best way to sign up for Time etc is to opt for its free trial and get one task done for free. That way, you’ll have a sneak peek into how it operates and whether using a virtual assistant is a good option for you and your business. Alternately, you can call the company at 800-297-8540. We recommend Task Molly as the best virtual assistant for project management because in addition to routine administrative support and solid help with your customer service, sales and marketing, Task Molly adds project management and software expertise to its service offerings. In fact, you can hire them as project and information technology (IT) consultants, which is something the other services like Time etc don’t offer. Of course, it’s on the pricier side as compared to every other virtual assistant service we reviewed. Task Molly lets you delegate customer and marketing support tasks to a virtual assistant. Task Molly is priced in the $34 to $36 per hour range, higher than most of the other best virtual assistant services. It also offers custom packages as well as project management and consulting based on quoted prices. Similar to Time etc, you sign up for a package that provides you with a fixed number of hours per month, and you can use those hours for help from multiple talented team members. The difference is that if you don’t use those paid hours, you lose them. Like Time etc, Task Molly sells you a package of hours, and you can use those hours to accomplish a huge variety of tasks to support your business, including technical tasks like setting up and managing your software systems. It refers to itself as your virtual office team. In addition, it provides you software, a dedicated account manager and metrics to show work that has been done. It also has resources who can manage your vendor relationships, support your recruitment and hiring process and provide project management and consulting services. Those are services that Task etc and many of the other VAs don’t offer. With Task Molly, any unused hours you signed up for are lost if you don’t use them in a given month. Therefore, you may want to plan activities in advance to ensure you use all the hours you’re entitled to. You also can’t sell or give away your unused hours to another user, although you can buy a Task Molly service on behalf of another person. If you want to cancel, there’s no penalty. That makes it risk-free if you want to try it for just a month or so. Task Molly earns five out of five-star reviews on third-party reviews sites. Users like how they can handle so many different kinds of tasks from creating invoices to setting up software to building presentations. To sign up for Task Molly, you complete a simple online form indicating the number of hours you think you’ll need and the kind of tasks you’re interested in delegating. An account manager will then contact you to find out more about what you need and assign resources to you. Then, you’ll get a welcome packet with information on how to submit tasks. You can also call Task Molly at 800-445-3947. If you have a very small budget and/or only need behind the scenes help, MyTasker can be an excellent choice. Although slightly more expensive than other overseas options, it’s much cheaper than Time etc or Task Molly and MyTasker has excellent reviews for its service. MyTasker’s VAs based in India can perform many kinds of tasks. If MyTasker offers such a great service at the lowest price then why are we recommending Time etc as best for small business instead? In order to create better relationships with clients, we would rather recommend assistants that have a familiar accent and a better understanding of local culture for client-facing tasks. You might consider using MyTasker as your primary behind the scenes VA and only use Time etc for client-facing work like scheduling or qualifying leads. MyTasker offers a dedicated assistant and task-based workers you can select by skill for an additional fee. That’s a bit different than Time Etc or Task Molly that allow you to submit skill-specific tasks with no upcharge. MyTasker was the low price winner coming in at $14 per hour for 10 hours per month, with the price dropping all the way down to $7.50 per hour for its full-time virtual employee plan. It has a healthy number of options. If you choose the pay-as-you-go option, it’s $18 per hour with unlimited availability. In addition, it has plans specific to website maintenance that run from $73 per month to $720 per year. A few of the pricing plans are shown below. Like Task Molly, MyTasker doesn’t let you rollover unused hours like Time etc does. However, the pay-as-you-go option provides a nice alternative to ensure you don’t overpay in a month that you don’t use all your hours. MyTasker supervises the work of its staff under 24/7 closed-circuit television cameras in a physical location in Kolkata, India. Unlike virtual assistant services that assign you to a person who may work remotely, your virtual assistant will work in an office under supervision. Because of that setup, it can provide you with emergency backup support in case your assigned resource quits or is sick and complete projects that require multiple skill sets like admin tasks, IT tasks and graphic design. While MyTasker offers a wide variety of services, most people reported using MyTasker solely for administrative work, calendar management, email gatekeeping and document editing. It doesn’t provide sales or customer-facing support but otherwise excels in technical services from spreadsheets to website management. Many of its English-speaking workers have a bit of an accent that U.S.-based clients may not prefer. Although it can’t guarantee your dedicated assistant will be available 24/7, it offers 24/7 coverage and will assign you another assistant for times when your VA is unavailable. If you frequently wake up in the middle of the night with great ideas that need attention right away, MyTasker might be a great fit for you. In addition, MyTasker earns solid four to five out of five-star reviews from both its clients and happy team members. You can sign up for MyTasker from its website or take an exclusive trial. Then, if you like the service, you can choose a plan and even earn discounts by committing to a longer timeframe, such as three, six or 12 months. Uassist.Me is priced lower than most North American VA firms we reviewed while adding the benefit of having bilingual — English and Spanish — assistants who can help your Spanish speaking employees and customers. It’s great for translations, such as if you want your brochures or PDFs viewable in Spanish or if you want to communicate with Spanish-speaking employees and customers. It’s also experts at social media. It’ll even manage difficult tasks like collections, working with non-English speaking clients across South America and other Spanish-speaking countries. Uassist.Me pricing is on the more affordable side, running between $9 and $15 per hour depending on which service tier you purchase. Its part-time tier gives you 20 hours of support a month. But if you want a full-time assistant for less than you could hire a full-time bilingual staff member in the U.S., its full-time assistant will cost you only $9 per hour, and you won’t have to worry about managing any of its related human resources (HR) and benefits costs. All pricing plans include supervision of your VA as well as providing workers with a fully equipped workstation with backup electricity. The Shared and Full-Time plans offer the additional benefit of being able to contact your assistant on a dedicated phone line and providing a backup if your assistant is unavailable. Uassist.Me provides workers in a physical location — Florida or El Salvador — much like MyTasker does with its Kolkata workforce. That means they’re being supervised, and you can get backup help as needed. However, because you have a dedicated assistant and not task-based work like Task Molly or Time etc. Therefore, you need to decide up front what kind of services you need, such as customer service or graphic design. You’ll then be assigned someone who has those specific skills. Uassist.Me requires payment before it’ll assign you an assistant, and it doesn’t have task-based hours like some of the other virtual assistant companies do. In addition, it tracks work efforts by accomplishments, not hours worked, which is different from the other services. However, for the price, it’s a great option especially if you want the benefits of a bilingual assistant who has a neutral US accent. 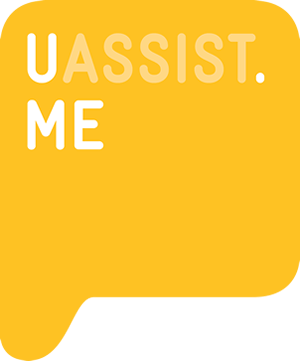 Uassist.Me has only been around since 2009. Nonetheless, it is earning consistent five out of five-star reviews from its clients who like the service and professionalism. Some reviewers on a deadline felt its assistants weren’t responsive enough, but they’re the small minority. Signing up for Uassist.Me requires you to go to its website, provide your payment information and fill out a job description for the type of assistant you need. 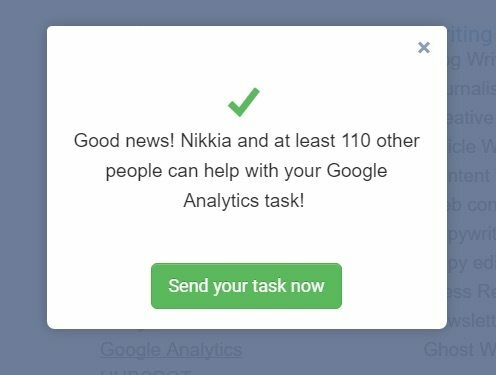 Based on that, it’ll assign you a resource who will serve as your dedicated assistant for the number of hours that you purchase. If you upgrade to full-time, you may even get to keep that same assistant, depending on his or her availability. We recommend WERVAS for businesses that require affordable task-based virtual assistant services, such as administrative tasks, customer service and marketing support using a standard pricing model where you pay for a package or pay an hourly rate with a pay-as-you-go plan. Those packages are similar to what other vendors offer, albeit much cheaper, with an option for a dedicated assistant. WERVAS offers web development and SEO services in addition to VA services. What makes WERVAS stand out is that you can purchase a package of task-based work for as low as $1 per task. You can send those tasks to WERVAS 24/7. That’s great if you need frequent small admin support tasks, such as email management, social media posts or travel and appointment scheduling. WERVAS, being offshore, is priced on the lower end, from $5 to $12 per hour based on the number of hours you purchase. If you go with a plan that provides 100 hours of service a month, you’ll be getting a dedicated assistant for only $5 per hour, which is well below what you’d pay for any U.S.-based VA or employee. WERVAS offers the least costly pay-as-you-go plan at only $12 per hour for those businesses who aren’t ready to commit to a fixed number of hours a month. However, it has multiple pricing options and let you spread those hours over multiple longer frames like monthly or quarterly, whereas most of the other VA companies limit you to monthly plans. WERVAS also has task-based plans starting at $1 per task, which is the lowest price of all the VA services. You can buy 100 tasks for $100 as long as each task takes no more than five to 10 minutes for your VA to complete each task. No other service offers virtual assistants that cost so little. These task-based plans give you tremendous flexibility if you want lots of small tasks done. WERVAS is unique in terms of its task-based approach, which is meant to free you from the small distracting tasks like appointment setting, reminders, travel planning and slogging through your emails and phone calls. It focuses on providing work-life balance to overworked office staff and business owners and also handles personal tasks like ordering flowers, sending birthday cards or looking up information online. WERVAS offers administrative and other services. It offers traditional virtual and personal assistant services, which include all kinds of administrative tasks. In addition, it provides web development and SEO services. For instance, you can hire a full-time web developer for $1,760 per month or hire someone to help you with customization for $18 per hour. WERVAS is based in India, as is MyTasker, but there’s a notable difference in how fast its website loads as WERVAS is slower than MyTasker. In addition, the number of English-language spelling and grammatical errors on its website may give some pause. Therefore, it may be worth trying out its free three-hour trial for two days to see if it provides the quality of service you need. In addition, like most of the other VA services, it offers no rollover of unused hours. However, it does provide both unlimited and pay-as-you-go plans, giving you a choice. Like most of the other virtual assistant service companies we’ve reviewed, WERVAS earns consistent five out of five stars on third-party review sites, but there are few reviews overall. In fact, it was recommended to us by its users who appreciate the value of the service as well as its communication. WERVAS makes it easy to sign up directly from its website using PayPal as the payment method. It also provides a U.S. phone number you can call to sign up at 347-414-9393. Because its service is offshore, it may be best to try its free trial first — it’s three hours for two days. Upon signup, you’ll be given an account manager who will oversee your tasks. If you are very particular about your staffing choices or demand perfection from your assistant, Belay might be a great option for you. The only reasons Belay didn’t take the top spot on our list is because it is more expensive than the other VAs, and it doesn’t offer additional task-based assistants that you can choose by skill. Belay markets its services based on how it can create business results for you. All of its VAs go through a rigorous six-week training program, are college educated and, most importantly, are career executive assistants. Belay also has the most in-depth selection process to match you with a virtual assistant. Belay’s virtual assistants run about $35 to $44 per hour. However, it doesn’t provide its pricing online. It’s more expensive than the others, but Belay bills its VAs as true executive assistants, many of whom are career executive assistants. All Belay’s VA’s are college educated and go through a rigorous six-week training program. Belay also has a start-up fee of $495 — none of the others have a start-up fee. While Belay focuses on administrative help, it considers its assistants more as executive assistants than run of the mill admins. Considering its top-tier pricing and glowing reviews, you’ll find working with Belay to be very similar to having a dedicated professional U.S.-based college educated administrative assistant or executive admin who can be trusted to support top-tier executives and their team. Belay is the most expensive of the online services, and it doesn’t provide its pricing in a transparent way online. In addition, it adds on a startup fee making it difficult to try out its services without an upfront investment. Therefore, you’ll have to go through a process to determine what you need to be done, and it’ll assign a resource to you. In that way, it’s not much different than you hiring an administrative assistant yourself, except that you pay a flat rate, rather than payroll and pay a startup fee instead of recruiting costs. Belay has five out of five-star reviews on its virtual assistant services company, and it has what every outsourced service wants: five-star reviews from its employees as well. That means you’ll likely have less turnover of your dedicated assistants. You sign up for Belay online by choosing the Hire Now button from its website. You’ll then be scheduled a time to talk with its team and discover what your needs are. At that point, you’ll sign a contract and get assigned to a relationship manager. Based on your needs, it’ll assign you one of its 600 remote virtual assistants. We recommend Worldwide 101 if you’re looking for expert virtual assistant services in the U.S. or U.K. with a company that provides you with a 100 percent satisfaction guarantee. Worldwide 101 is best for international executives who want a professional client-facing virtual assistant with at least 10 years of experience. However, it’s priced on the higher end. Worldwide can provide your business with educated, vetted virtual assistants as well as marketing and project management experts similar to Task Molly. Similar to Belay, Worldwide 101 is on the higher end of virtual assistant services with plans that range from $430 per month for 10 hours to $1,480 per month for 40 hours. Of course, you can sign up for more hours all the way up to full-time. Worldwide101 has a subscription model that allows business owners to choose talent that’s matched to their business needs at a lower cost than having to recruit and hire their own talent. Instead, Worldwide 101 hires the talent and takes care of all its payroll and benefits. Then, it leases the talent to your business for a monthly fee. Because it’s in Europe and North America, it can often help you obtain services that allow you to do work in those countries, such as if your business wants to sell into Germany and do accounting in Canada. Worldwide 101 provides all the services you’d expect of a virtual assistant such as general administration and customer support. But, because it works with many startups, it also helps with social media, marketing and design work. It can manage your inbound and outbound calls, use your software and provide its support to your extended team of managers. It also provides backup support if your dedicated resource is away. Worldwide 101 isn’t missing any services a small business might need. However, its pricing model may make it out of reach of many small businesses and/or startups. Its web development services design services and other tasks aren’t included in its hourly rate — those cost extra. Worldwide is rated on par with Time etc and Belay on third-party review sites. However, it has the highest ratings of all the sites from its staff. It’s no doubt that the higher rates it charges businesses are driven by the higher rates it pays its staff. Those rates then allow it to provide its workers with a great remote work environment. To sign up for Worldwide 101 staffing, you’ll choose the get started button and begin filling out a form. It will meet with you to determine your needs and then suggest an assistant. 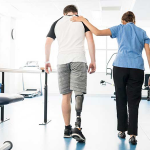 Unlike most of the other VA services, it’ll allow you to meet the staff member who will be assigned to you even before you complete the signup process. Have a question about choosing the right virtual assistant service for your business? Our analysts are standing by to answer! If you’re anything like most new small business owners, you probably spend a huge portion of your day slogging through mundane tasks instead of focusing on the big picture. A dedicated virtual assistant can take the majority of that work off your plate. Don’t take our word for it, however, as these companies offer free trials or month-to-month contracts. Since most small business owners could use a dedicated virtual assistant and a task-based assistant, we recommend Time etc as the best of both worlds. You can have a dedicated U.S.-based virtual assistant to help with routine tasks and also have access to an entire network of assistants with a wide range of skills all for one monthly price. My VA is from Uassist.ME. Her English is great, we use Skype to communicate. I’ve been working with her for the past year, she manages my social media and calendar. She is great, I couldn’t go a day without her. That’s great. Using a VA is a great way for a startup or small biz to get work done without hiring a full-time employee — especially when they’re not in need of full-time staffing. MyTasker experience for the past 3 months has brought me to leave this review to help others. I had them provide services from three different departments and neither of them completed a service correctly and ended up paying more than I would have with another company. Pay more an hour for services that will be done right the first time and end up paying less in the end. I would give them a big 1 out of 5. Thank you for sharing your experience. It may help others discern which VA service is best for them. If you wish to leave additional reviews check out our reviews page. We love hearing from real business users. I hired 4 VAs from WERVAS and they are also good. You can mention them over here. We’re updating this article soon, and will check out Wervas. This is an excellent guide and I think this is definitely helpful for clients. I’ll be updating this article in the coming weeks and will take a look at Remplo. 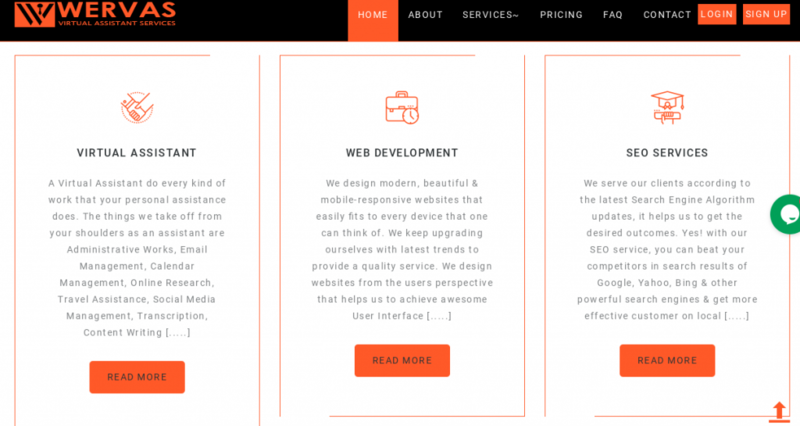 I visited their website to check their services, clients’ review, pricing and some other things. 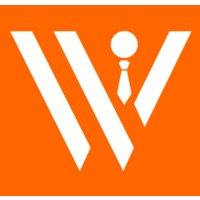 WERVAS: New comer but reliable & good quality services provider, as per clients’ review. The pricing of all services are reasonable. They provide free trial and I loved that. MyTasker: A strong client base as they have been this field for a long time. Services quality is also good but I have seen some negative reviews about this company in an another va review site. AskSunday: The Ui of the website is not that much friendly but they are also in this industry from last couple of years. Pricing is bit high than WERVAS & MyTasker. Thanks for your review and feedback of these services. We actually provide badges and points for those who provide software reviews on our review page. Check it out! We’d love your feedback on other software you’ve used. Hire a Virtual Assistant - FREE Trial!